I’m peck drilling 1/4" holes in MDF using a 1/4 201 Endmill and am not happy with the results. I’ll get skips in the Z Axis when I’m most of the way through the MDF. I removed one of the springs and that helped but didn’t eliminate it. I also retract the bit every 1/8" deep. Does anybody know of any short drill bit that’d fit a 0.25 chuck? Mill it with a 1/8" endmill instead - it will take longer, but will probably work better. An endmill is terrible at plunge, but great on the side. A drill is great at plunge and terrible on the side. That, or use a drill bit instead. I, also, would run it with a 1/8" endmill. It may not be that much slower than a drill cycle, since it can be done in a continuous operation, The power requirement is less than for drilling, and peck drilling requires a lot of dead time for the retract/re-enter. As for a drill, screw machine drills are shorter than standard (jobber length) drills. In 1/4", typical is about 2-1/2" overall (63mm) with about 1" (25mm) gripable shank. They can be shortened by regrind, if needed. I would not suggest shortening the shank. You want enough for good hold without the collet touching the flutes. If you regrind to shorten it, you need to use a decent drill grinder tht can do a proper split point (Drill Dr might be good enough, with care, but I would definitely take a lot of care. The swing attachment for a bench grinder are not gonna do it) or the balance will be off. At several thousand (or over 10000) RPM, this is a bad thing. If you choose to drill, note the chip thickness, as well as chip load. (feed per rev-- Feed rate and RPM determine this-- and peck cycle parameters) Too low a chip thickness will lead to rubbing and destroy a bit fast. At 10000RPM (low end on a Shapeoko), the cutting speed is 190m/min(625ft/min), and a feed rate of 250mm/min (10IPM) gives a chip of 0.012mm (0.0005). This is a real high speed and a light chip for an HSS 1/4" bit, even in MDF, but other flavours will be ok at this speed with a higher feed to bring the chip to about 0.05mm (0.002") or even 0.1mm (0.004") (1 to 2m/min (40 to 80IPM) at 10000RPM). I have not seen much from the bit manufacturers, but there is a fair bit of discussion on line (for example, the mastercam forum: https://www.emastercam.com/forums/topic/72025-cnc-drilling-into-1-thick-mdf-with-332-drill-bit/ ). Basicly, you don’t want to rub through or make fine dust. You want to drill such that you get chips that will clear via the flutes. Thank you everyone! I’m using a 1/8" EM in another operation on that part so I’ll try that first to eliminate an extra tool change. ’m peck drilling 1/4" holes in MDF using a 1/4 201 Endmill and am not happy with the results. I’ll get skips in the Z Axis when I’m most of the way through the MDF. I removed one of the springs and that helped but didn’t eliminate it. I also retract the bit every 1/8" deep. This works with a good attention of the belt and the bits you can cut them to the required size with a diamond disk, you also have to have patience. Or I recommend Luke’s Z axis. peck drill with a 1/4" drill bit. Endmills are not meant for drilling. 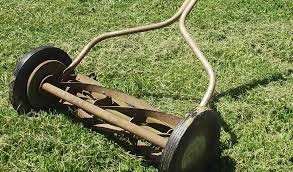 And I use to mow my lawn with this! All kidding aside. You can absolutely, successfully and accurately pocket your holes but if you can get a drill bit the size you need your work time will be cut in half at least. This guy has a bunch of different bits. Tool Type Drill Bit. Each Drill has a Plastic Ring for Easy Size Identificationand consistent plunge depths - Ring Color may be different from picture. Quantity One Piece. At Drill Bits Unlimited, we are dedicated to providing top quality. | eBay! If you can get away with it just drill a .255 hole, anything a bit bigger than the bit. Standard stub drills may not meet the requirement for RPM - Makita and Dewalty can only go so slow - much higher RPM than most drill bits. These bits made to handle RPM. Wow thanks, I’ll order one! I had an issue with the router wobbling at the end of drilling holes for inserts in my waste board. Lots of calls to tech support with no success. I finally realized the Z axis rails were mounted too high and the lower bearings were falling off of the rails. Minor adjustment and all was well. Might be something to check if the 1/8” bits don’t help. In my case it was severe and yours does not sound that bad though. Yeah the 1/8 End Mill was better but didn’t resolve the issue in MDF. I tried pocketing a 0.25" circle to 0.625" deep and it lost steps near the bottom. So I’m going to order the other bit mentioned above. In the interim I’m decreased my pocket depth to 0.3" and use the hole as a pilot drill hole for my drill press to finish it up. It actually works pretty well except for having to do it. I’ve not tried to ramp the pocket operation using Vcarve to see it it’ll work yet but it’s on my list too. I received this bit and tested it out and I absolutely love it. 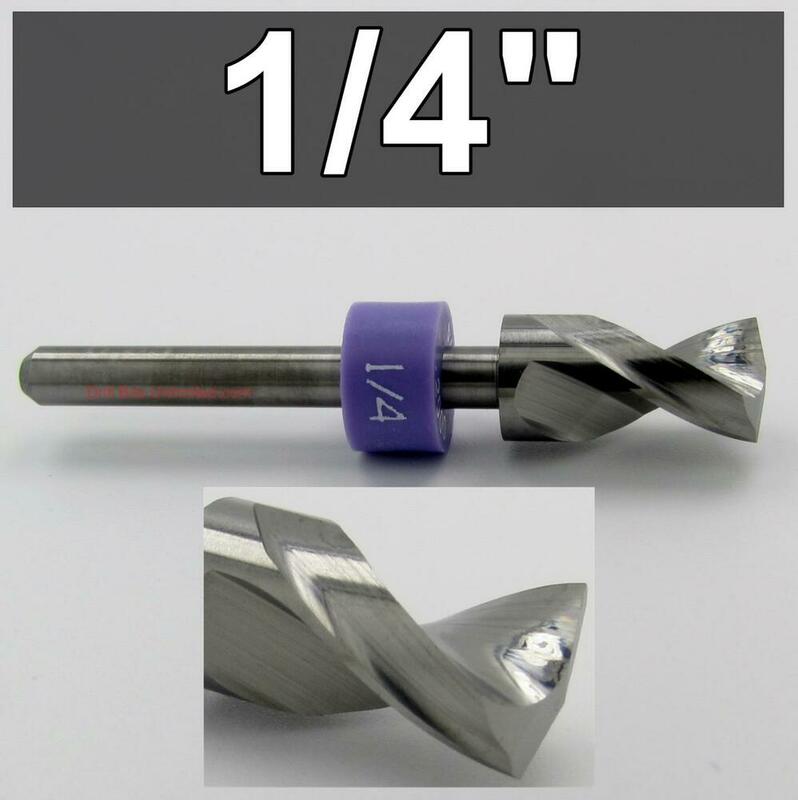 Amana Tool 51692 CNC Solid Carbide 90 Deg ‘V’ Spiral with AlTiN Coating for Steel & Stainless Steel 1/4 D x 3/4 CH x 1/4 SHK x 2-1/2 Inch Long 4 Flute Up-Cut Drill/Router Bit/End Mill. First I tried to use it for the drilling operation for 2 sided machining alignment holes and it cuts like “a hot knife through butter”. I can now confidently cut them without any worry. But it gets better; the advertisement says you can use it for vcarving too so I changed my project to use it to test it out. My project is a two piece box (lid & base) with carving on the top. My job cuts the carving first and the alignment holes then I flip it. By using this bit I’d be able to drill and carve with the same bit and not have to change the tool. I’ll just say it carves wood beautifully - the 4 flute design is great! Awesome - Glad I could be of help. I had looked at them a while back, but had not purchased. I did, however, read up on some drilling articles to know enough that a “drill” bit will not work in the CNC world. Post some pics with the drill operation and V operation.